Open recruitment - now through the fall! Interested in roller derby? 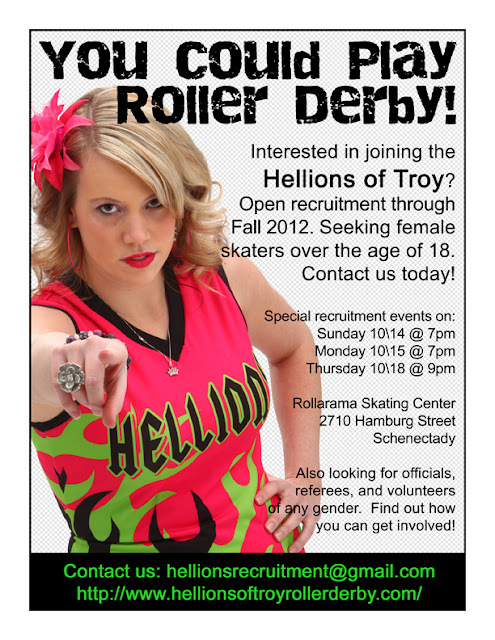 We are recruiting now through the Fall, with specific events at Rollarama Skating Center the week of October 14. Now is a great time to join the Hellions. 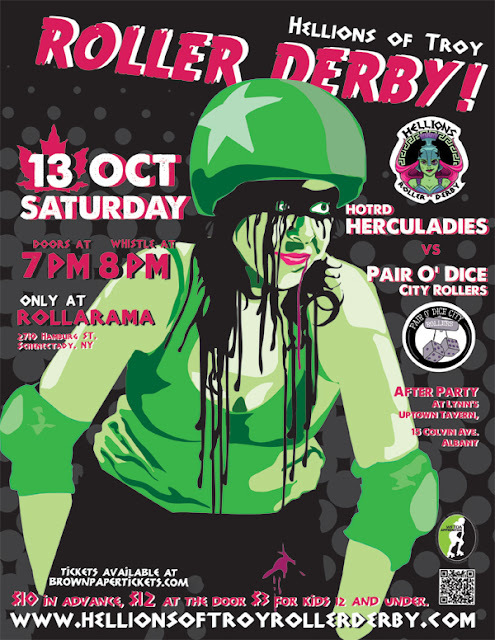 While we're at the end of the season, as "fresh meat" you'll spend the next three months learning the skills required to play derby in 2013, including how to stop, fall safely, and give/take hits.